Close examination reveals that goth music has remarkable depth and versatility: A strict definition would be a disservice. Its forms range from the abrasive sadomasochistic attack of Siouxsie and the Banshees to the gloomy dance grooves of The Sisters of Mercy. Rather than worry about a precise taxonomy, it’s better to take the Potter Stewart approach and say, “I know it when I hear it.” Further complicating the issue, the term “gothic” has been frequently used as pejorative, leading many of the best artists to reject the categorization. The word itself has a winding history. In the late 1970s, after punk rock was pushed to its limits, self-conscious art students and their friends took up the punk spirit and infused it with keyboards and experimental flourishes. Some of these “post-punk” artists went on to become energetic new wave bands; others took a gloomier approach and were labeled “gothic,” in reference to the melodramatic Victorian fiction set in ancient chapels and castles. Despite being reduced to a stereotype in the eyes of many, goth rock pioneered a number of recording techniques. Its simultaneous love of sparse echoes and room-filling ambiance led goth artists to capture a sense of physical space better than any other musical style. Beyond their sonic palette, goth musicians are remembered for their gloomy lyrical content. Much like the Victorian literature they were named after, goths’ songs tended to deal with unrequited romance and deceased lovers. 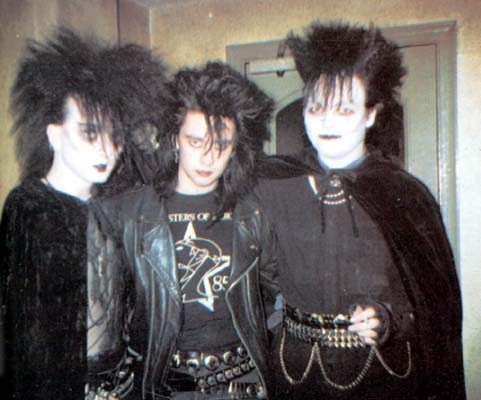 The 1980s was a golden age for gothic rock; it was one of the most popular forms of alternative music of that time. The Cure was a forerunner in this era, displaying by far the widest range of their contemporaries. From album to album, it played with disorienting textures, wrote perfect pop songs such as “Just Like Heaven,” and created the crown jewel of goth albums in “Disintegration.” All its work is underpinned by the classical, gothic penchant for emotional drama, despite the drastic sonic shifts made over the course of its career. Aside from innovations, goth rock is simply fun to listen to. Especially in the autumn and winter months, there’s often nothing better than curling up on the couch, getting warm under a blanket, and being enveloped in the full basslines and romantic lyrics of goth music. It also speaks to a more well-adjusted outlook than many might assume. Death is, after all, a completely natural part of life, despite modern society’s aversion to acknowledging it. Goth music, at heart, is just an admission that life has its dark spots; it can be fun to play around with that. There’s also more positivity than might be expected. Historically, the subculture has been a place of high visibility for gender, sexual, and romantic minorities. A 2006 study even revealed that youths who identify as “goth” were more likely to become doctors and lawyers than their peers. So put on your best black shirt, head out to the record shop, and pick up some gloomy music. Keep your sense of humor and be prepared to have some fun in the dark. via Cheer up, goth | The Daily.